Africa has been the muse for more than one artist and creator. 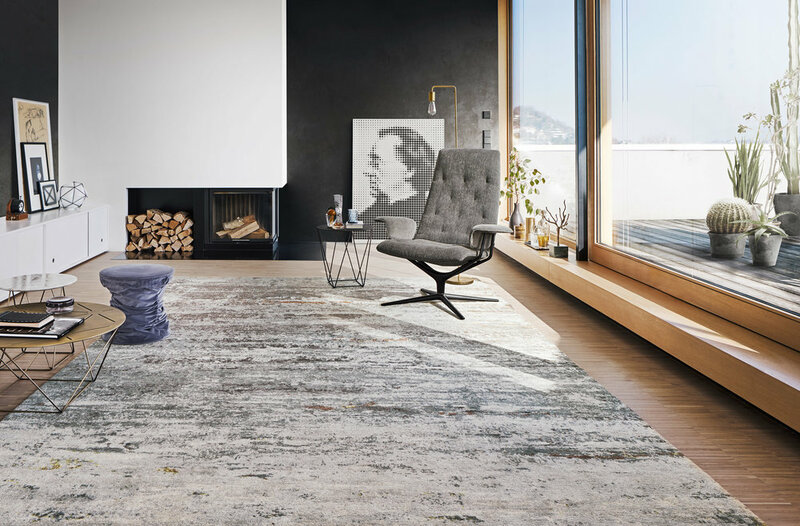 In this case the German brand Walter Knoll had created an abstract and organic carpet collection inspired by the landscapes and colors of the continent. Composed by Badawi pillows and silk carpets, this Legends of Carpets serie designed in collaboration with Helmut Sheufele has debuted at IMM. Those 31 abstract creations were conceptualized by Scheufele and Markus Benz, both CEO of Walter Knoll, after traveling to Africa they translated into theoterical paintings to be transformed later into carpets. Not a regular carpet and not a regular red hostel rug. The British designer Tom Dixon has developed a collection of seven rugs inspired by the Ege, Danish manufacturer and its pieces found around London. Not only geometric and minimalistic designs but natural forms are shown through the collection. One examples is the Smoke one, which created a game of tones with beige clouds all over the brown fabric while the black and white Tide design recreates a stormy Thames and its waves. We can also enjoy carpets inspired by the shapes found in streets and buildings around the cities, including bricks or paving slabs. ABC Carpet & Home, the American home design retailer has created a comfy and a slow design inspired environment for its new silk rugs inside the Quadracci Pavillion at the Milwaukee Art Museum, designed by the Spanish architect Santiago Calatrava. Inspired by the future, the new Aura and Samoke rugs aim to illustrate the future of the handcrafted design, reinventing the disposable consumption idiosyncrasy promulgated by the massive production and programmed obsolescence in the technology.